We all realize that content is king, right? 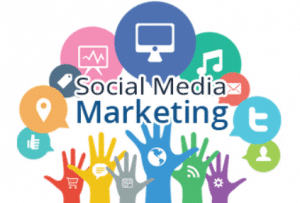 Would you like to reinvigorate your social media posts? Looking for more meaning, depth, and engagement from your SMM posts? We all are. This article by Kimberly Crossland sheds light on the subject. Let’s play a simple game of fill in the blank. How’d you do? I’m willing to wager a bet that if this were a high school exam, you’d get an A+ and a gold star of perfection. That’s because these quotes had an impact. In the matter of a few words, these leaders changed a thought, persuaded an audience, and made a difference in people’s lives. So much so that we continue to remember each of these people’s words years after they said them. What does this have to do with your marketing? Everything. Just as these words made a difference in the lives of millions of people, the words you use in your business can make a difference in the lives of your customers. It’s called copywriting and done well can make or break your sales. Why Copywriting Formulas for Social Media Specifically? Because today’s businesses (especially the little guys) are at a tremendous advantage. Now businesses have the internet and Facebook (or Twitter, or Instagram, or whatever other social network your customers hang out on). These social networks attract the attention of your buyers just by being a stellar place to stalk old high school flings, giggle at cat gifs, or find dinner ideas (hello, Tasty videos). While your buyers are already there, they’re also looking for something interesting. And that’s where you come in. You have something interesting to offer your buyers.